Our new seed-mix comes in a sustainable folded card made of paper and is not bigger than a usual postcard. 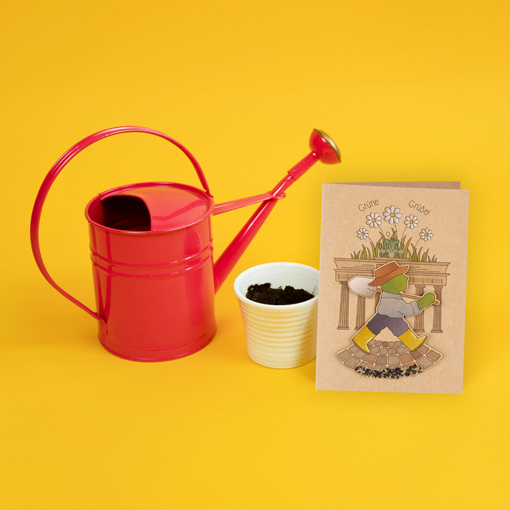 For every sold card, there will be donated 1 euro to green-planting projects in Berlin schools. Click here for further information. Hello spring! Here’s a great gift idea for nature lovers, garden and balcony owners. Have fun sowing and harvesting during the spring time! Order 3 packages and pay only 2.